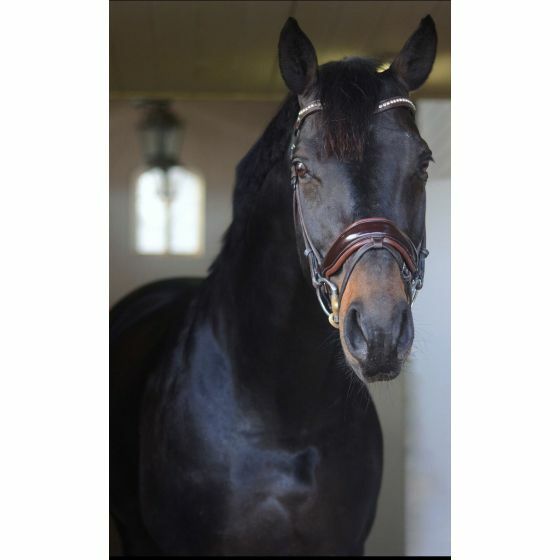 This International Grand Prix Stallion is a beautiful black horse, with lots of ability and a calm nature. He would make a super schoolmaster for an ambitious Young Rider wanting to do European teams or senior rider wanting to make a name for themselves. He has 3 good gaits and super straight changes. Easy to handle and a very sweet horse. A real eye catcher in the arena and in the stable.